If you’re like most people, your home is your biggest investment. Replacing a worn or damaged roof just might be the best thing you can do to protect this investment, whether you are planning to sell your home in the next few years or not. Don’t take our word for it. 480 remodeling contractors, 2,012 Realtors and more than 4,000 homeowners participated in the “Remodeling Impact Survey,” a joint survey from the National Association of REALTORS® and the National Association of the Remodeling Industry (NARI). 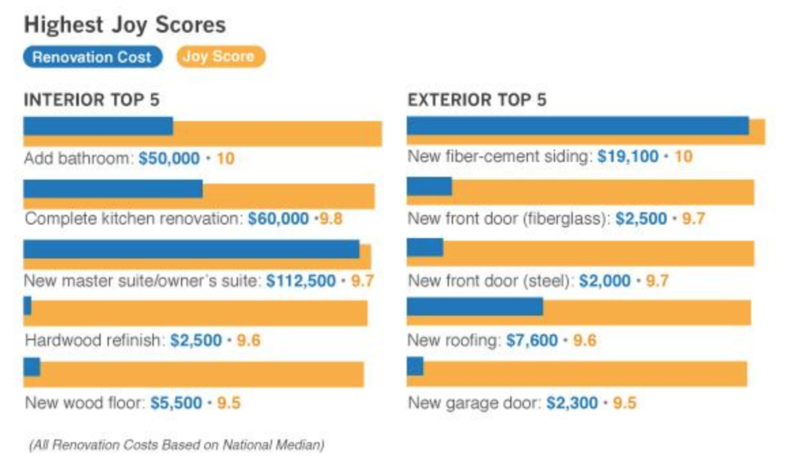 The survey looked at the resale value and customer satisfaction of 12 interior and eight exterior projects. The projects range from upgrades (a new HVAC system) to full-scale remodels (a new master suite). NARI member contractors priced the projects and Realtors estimated their impact on selling price and noted which projects they would recommend sellers complete before listing their homes. The homeowners rated their appeal and value. 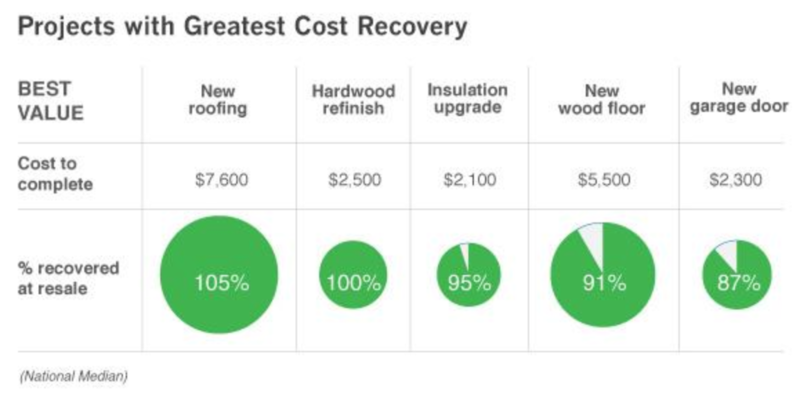 The Remodeling Impact Survey said the cost of a new roof an expense that makes your home worth more in the long run. 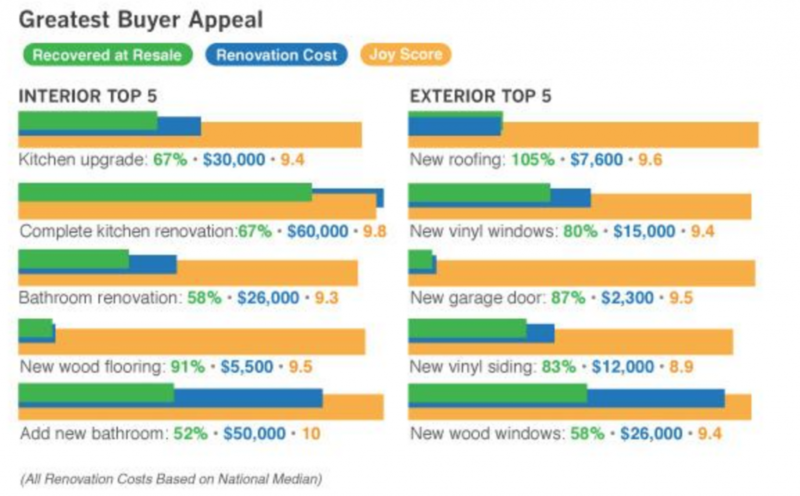 The survey said a roof that costs $7,600 will typically be worth 5 percent more at resale. Other “high return” exterior projects mentioned in the survey included vinyl siding and window replacement. There’s a good reason roof replacement is the top project that Realtors recommended to their clients complete before putting their homes on the market. People who are looking to buy an existing home say that a new roof the single most appealing and valuable improvement a seller could make. Home Roof Replacement Can Pay For Itself! Your home’s roof is a costly investment, sure. But it can make your home look better. It can also protect the rest of your home and everything inside. That’s why a new roof can significantly impact the appeal of your home in the eyes of potential buyers. Translation? When you look at intersection of buyer appeal, cost, return, and owner joy, a new roof is usually the smartest home remodeling investment. Not selling your home anytime soon? Replacing your home’s roof may still be the smart thing to do. Pushing too far past the life expectancy of an existing roof can result in leaks that can drip down the inside the walls, meaning you’ll have to cut out drywall and replace flooring. Even a small leak can end up costing a homeowner thousands of dollars due to damaged carpets, mold, and any number of additional problems. 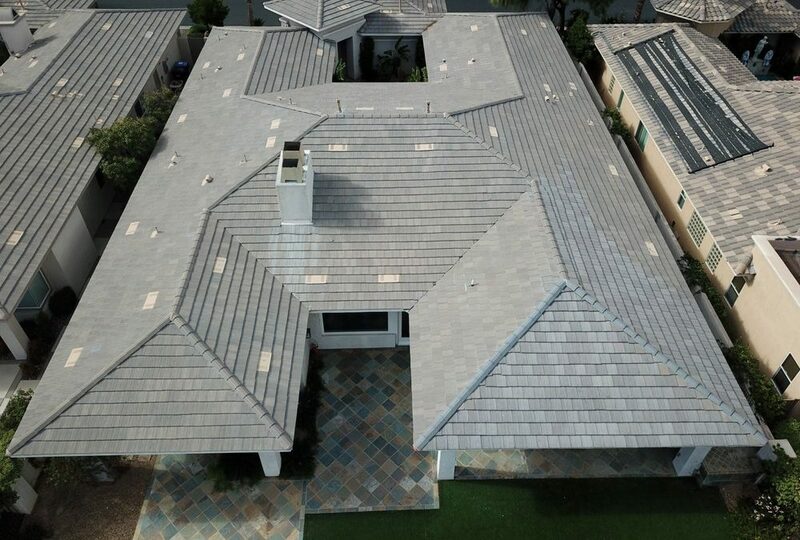 Installing a brand-new roof in 2019 means your home and everything inside will be protected throughout 2020’s rain, snow and hail. Replacing your home’s roof now means you can avoid water damage and expensive repairs down the road. Statewide Construction LLC delivers excellent roofing replacement and construction services to homes and businesses in Raleigh and surrounding areas. Owner, Clay Curtis, is a Licensed General Contractor and Raleigh native. We offer top quality roofing products, professional installation, friendly and prompt customer service. Check out our reviews! There is a reason why we are one of the most reputable and respected roofers in North Carolina.